Fix and flip loans have served as a formidable barrier to entry for inexperienced real estate investors for far too long. In fact, it’s my personal opinion that funding — or at least the inability to secure it — isn’t a reasonable excuse to give up on your dream of becoming a real estate investor. Instead, I am convinced everyone with a mind for due diligence and a desire to succeed has it within themselves to gain access to the capital they need to become a real estate investor. Quite honestly, it’s time you realized what today’s greatest investors already know: the funding you need for your next deal is readily available. I can assure you the financing you need to get started is not nearly as hard to obtain than many people make it out to be — you just need to know where to look. Fix and flip loans are constantly at the forefront of every investors’ mind, and for good reason: investing in real estate starts and ends with raising money. Without the proper finances in your corner, there’s no way you’ll be able to acquire the deal you want — it’s as simple as that. No money, no deal. Fortunately, for everyone’s sake, fix and flip financing is a lot easier to come by than most inexperienced investors are lead to believe. In fact, there are a lot of investors who are currently willing and able to fund real estate deals; they are simply waiting for the right opportunity to present itself. That’s right, there are investors currently looking to act as lenders, which begs the question: Where are they? Better yet, who are they? The first source of funding you will want to familiarize yourself with a s fix and flip investor is the private money lender. As their name would lead you to believe, private money lenders are just about anyone with a little extra money on their hands and an increased propensity to invest it. To be clear, private money lenders aren’t affiliated with a lending institution or company, but rather represent their own interests. Private money lenders can range from friends and relatives to complete strangers you met through a mutual contact; they just can’t be affiliated with a bank or lending company in any capacity. And therein lies the greatest benefit of receiving a fix and flip loan through a private money lender: they aren’t expected to abide by the same rules as traditional banks. As investors that don’t have to answer to anyone, private money lenders can set their own terms, which are usually negotiable. It is worth noting, however, that their unrestricted lending practices will typically come at a price; somewhere in the neighborhood of six and 12 percent. Yes, that’s more than a traditional lender, but I can assure you the interest they charge is well worth it. Whereas a “quick” bank loan can be processed in 30 to 45 days, there are some private money lenders that can have the money in your hands in as little as a few days, or even hours. Therein lies the greatest benefit of working with private money lenders: speed of implementation. The slightly higher interest rate is well worth the cost of admission if it means an investor can secure funding in as little time as possible. Speed is nothing, if not invaluable in the real estate industry. In addition to private moneylenders, hard money lenders are a great source of fix and flip loans. In fact, hard money lenders share a lot of similarities with their private money counterparts. Most notably, they’ll be able to get you the money you need in a relatively short period of time. What’s more, their rates are going to be higher, oftentimes falling somewhere between 11 to 15 percent with points (additional upfront percentage fees based on the loan amount). The single greatest difference between private and hard money lenders is the affiliations hard money lenders have with organizations. Hard money lenders are lending companies that offer specialized short-term real estate-backed loans, and they are actually affiliated with a company that specializes in lending. The high interest rates are easily offset by the loan durations offered by both private and hard money lenders. You see, instead of paying interest on a 30-year loan, like you would with a bank, you are only paying interest for the amount of time it takes you to flip the property, which can be as little as a few months. So it’s worth noting, that the length you intend to hold the money makes a big difference in how much you will owe in the end. Some of the best fix and flip loans may come from a source you never imagined tapping into: a partner. If you are looking for funding, you could do a lot worse than teaming up with someone that already has it. It is entirely possible to collaborate with another investor that has the funds to flip a property. However, to partake in the action you need to bring something equally valuable to the table. Perhaps you know where to find deals or are pretty handy with a hammer. Whatever the case may be, let your potential partner know that you are willing to work to make a deal happen. Remember, money isn’t everything. There are plenty of investors willing to fund deals if their partners are willing to contribute something of equal value. As I already alluded to, private money lenders and hard money lenders don’t abide by the same rules as their traditional counterparts (banks and lending institutions). As such, they don’t have the same qualification requirements. In fact, a good majority of them won’t even need to take your credit score into consideration. Instead of looking at your credit score, private money lenders and hard money lenders practice what’s called asset-based lending, which means they will base whether or not they decide to lend to an investor on the quality of the investment itself. In other words, they are more inclined to lend to investors that bring them good deals. The more promising the flip, the more likely they will lend you the money. It is worth noting, however, that their looser lending guidelines will require a bit of an insurance policy. While they may not request a credit report, they will want a promissory note and a mortgage or trust deed on the subject property as a form of collateral. Do I have access to a mentor or anyone that has realized success in the real estate industry on the level I hope to achieve? Can I deal with the transition from a nine-to-five job to the life of an entrepreneur? What are my specific financial goals, both long-term and short-term? Am I disciplined enough to motivate myself through times of both stress and abundance? Becoming a fix and flip investor is an exciting proposition for anyone looking to take financial control of their future. It is worth noting, however, that becoming a fix and flip investor isn’t only about having the answers to everything; it’s also about knowing which questions to ask. You see, nobody starts out as an expert. There is an important growth period from the onset of your career, and only those that ask the important questions will find that they have a solid foundation. The questions I highlighted above aren’t necessarily important while you are investing, but they are invaluable for those considering it. If for nothing else, investing requires a unique mindset; one that can overcome challenges and take on obstacles head on. And those that can answer these four questions are more likely to go into investing with a beneficial outlook and the scales tipped in their favor. Financing a fix and flip is one of the most pressing issues for new investors, if not the most. After all, fix and flip loans are perhaps the most divisive aspect of real estate investing to begin with; investors either love them or hate them. 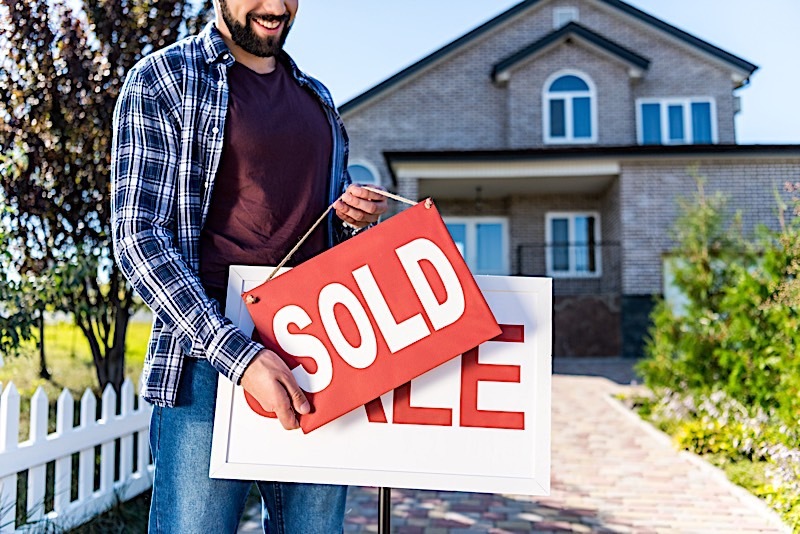 Those that know how to receive a fix and flip loan are most likely reaping the rewards that have become synonymous with the real estate industry, but those that are otherwise clueless of where to find them are probably struggling mightily. That said, there’s plenty of hope for those that aren’t accustomed to financing a fix and flip. There is plenty of capital to be had, so long as you are looking in all of the right places. And if you are one of the many investors looking to secure funding, I maintain you’ll have a much easier time seeking out private money lenders, hard money lenders and even partners. Fix and flip loans are not as hard to secure as many people make them out to be. Private money lenders, hard money lenders and partners may be your best source of capital if you are just starting out. Financing a fix and flip is as simple as minding a little due diligence and knowing who to talk to.